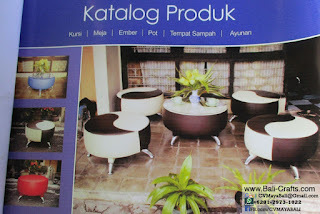 Furniture and home decors made in Indonesia by CV MAYA, also available on our facebook page. 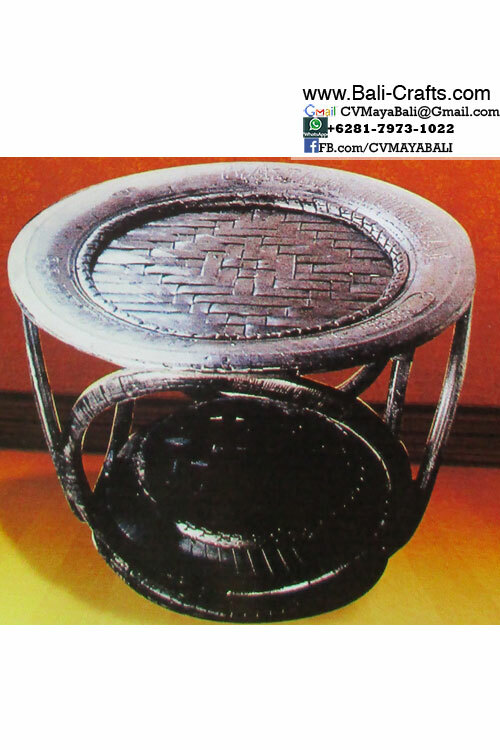 Please browse our facebook catalog to view some of our products. 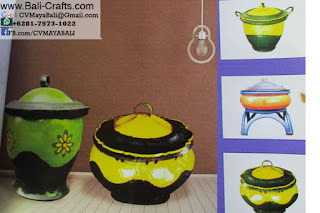 We post photos of palm pots, boat wood furniture, boat wood clothe hangers, teak wood bowls and oil drum barrels furniture together with photos of wooden handicrafts including carved wood mushroom made of parasite wood, handcarved by Balinese craftsmen. 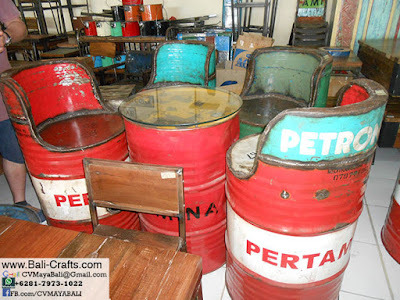 Also available on our sister site www.IndonesiaTeakFurniture.com various furniture especially the boat wood furniture from Indonesia. 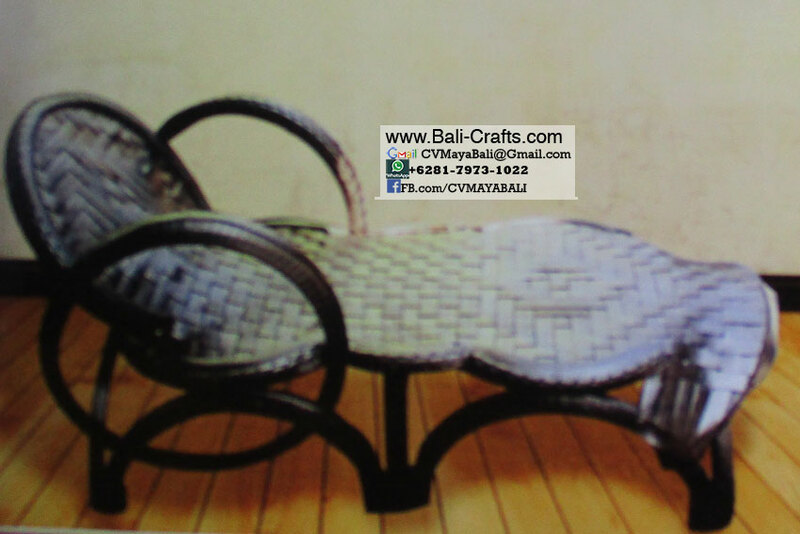 Other than big items such as furniture, we also have small handicrafts made of wood or other materials such as rattan or wicker. 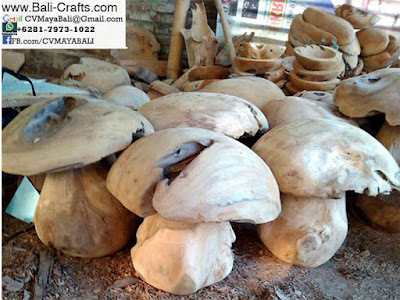 See also our carved wood mushroom made of parasite wood by skill craftsmen of Balinese. Please contact us by email or whatsapp, details look at the photos. 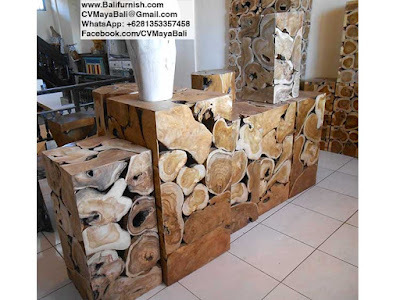 Teak wood garden decoration made in Indonesia. Please contact us if you interested, our email and phone available on the photo below. 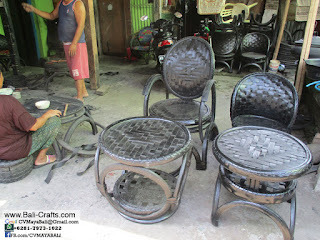 Handmade recycled rubber tire furniture, various furniture including chairs, table and other furniture. 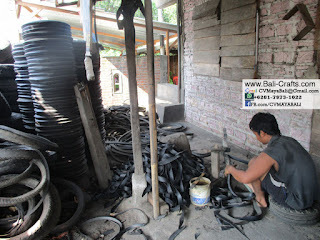 Our tire furniture made of discarded tire. 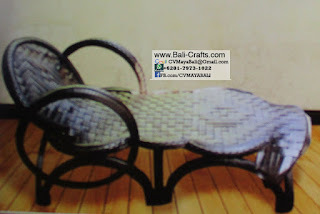 Good quality and very durable. 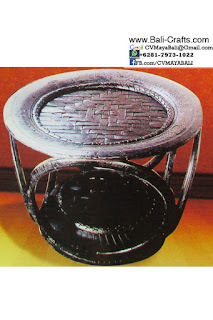 Contact us if you interested in importing this tire furniture direct from Indonesia. Our tire furniture mostly shipped in its original color black, but can also add colorful paintings to our furniture. Every year millions of car tire discarded, we turn waste to durable and beautiful furniture. Contact us now, send us email, click here or send us email directly to our Gmail account, see our email address on the picture below. Reuse tire furniture craftsman working with car tires. We use very simple tools to make these durable furniture set. 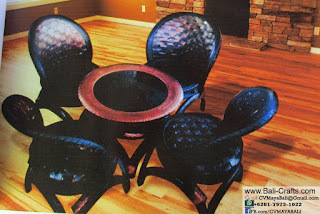 Living room furniture made of reuse car tires.